Mrs Adama is the leader of the Aimons Nous ["Let Us Love One Another"] group. She is married and has six children. The eldest is 20 years old, and the youngest is two. Two of her children are in school. Mrs. Adama has been selling agricultural products for over 20 years. She stocks up at the market of her village. She would like to buy two bags of finger millet and two bags of white sorghum in order to keep them for resale later, during the dry season. She would like to use her revenues to strengthen her business. Her goal is to grow her business and better provide for her family, especially her children. 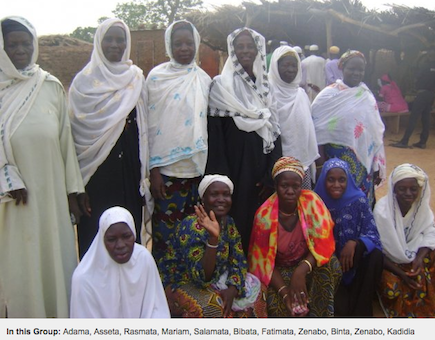 Congratulations to Mrs. Adama and the Aimons Nous Group in Burkina Faso..!